​We will work at your site and with your schedule. Our prices are very reasonable and we offer volume discounts. Utilizing well designed lunch'n learn presentations, online support, telephonic sleep coaching, webinars and online educational films and materials we can have a positive impact on employee sleep quality without imposing on employee work schedules or hours. We can work at your site and with your schedule. We also have state of the art online films and pre-recorded webinars that employees can access from any location and as often as they like. Our materials and programs are well designed, flexible and effective. Employers can chose from a simple menu of services to create any level of support that they desire. Contact us and let's get your employees sleeping better and feeling healthier. Rick Clerici C.Ht. director at Clear Mind Systems has treated sleep issues since 1987, and is a Certified Clinical Sleep Educator and Behavioral Sleep Therapist. Rick spent five years with one of the nations leading sleep diagnosis and treatment centers working in sleep studies, research, program development and hypnotic therapy for sleep improvement and assistance with sleep apnea therapy. Rick developed a year long patient care study, educational materials, adult and pediatric sleep support recordings and corporate wellness programs. Rick has assisted over 90 corporations, municipalities and universities with sleep education, fatigue management and wellness. Rick Clerici is the Sleep Educator for four of the nation's top Employee Assistance Agencies. We have done smoking cessation work since 1987 and treated individuals and groups with a high level of success. Utilizing education, behavioral and habit change strategies and hypnotic learning techniques we are able to help employees become smoke free long term. Smoking cessation efforts are successful when attention is paid to all of the related issues including stress management, relationship to food, self soothing and relaxation tools and healthy habit replacement. We are able to work with any size employee population, and tend to treat employees in small ten to twenty person groups in two to three meetings. We can work at your site and with your schedule. As new non smokers your employees will be healthier, more productive, have less absenteeism and enjoy life and work more. Why do we work with sleep and smoking cessation? Because smoking and sleep disorders affect the greatest number of employees and create the greatest costs to employers in loss of productivity, workplace accidents and employee sickness. For instance 18% of workplace accidents are caused by fatigue. Fatigue results in 136 billion dollars in workplace absenteeism, accidents and lost productivity. Industries like the transportation industry and manufacturing are inundated by the costs associated with these two issues. At Clear Mind Systems we are especially prepared and able to help your employees sleep better, recognize and treat sleep disorders and stop smoking. Call us and give us a try. 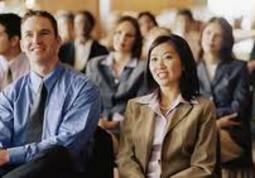 The companies and institutions who have chosen our presentations and wellness programs include the nation’s leading biotech company, one of the top two ivy league universities, a major medical testing company, five pharmaceutical companies, a leading software firm, a major banking institution, a developer of medical devices, the nation’s largest developer of web content, two Boston Hospitals, three engineering firms, a law firm, a major food grower and distributer, numerous municipalities, a medical publishing company and other companies too numerous to mention. Some of these companies are very old and some are part of the new economy. The thing they have in common is the knowledge that our sleep improvement and wellness programs will improve the health of their employees while saving the companies thousands and sometimes millions of dollars per year. Our new film series increases interest and knowledge in sleep while inspiring the viewer to make changes and showing them exactly how to make those changes. The series of four six-plus minute film clips is easily accessible by all your employees, members or students at any time from any location. License the use of this film for one year at an incredibly low price and begin improving sleep in your organization ....Beginning Tonight.